Mordian 7th Regiment: Necromunda - Grub Targeson painted! Grub isn't quite as unusual a sculpt as Mad Dog Mono or Yolanda Skorn (still upcoming), but he has a ton of personality nonetheless. Fairly basic and workmanlike loadout with the shotgun and knife, he may not look like much but can put the hurt on anyone who strays too close! I do like his background in the Gang War book, at one point he noticed a bump show up on his shoulder which over time swelled and grew into an unpleasant hump. While these sorts of unfortunate growths are endemic in the rad- and chem-filled atmosphere of Necromunda, when the hump started whispering secrets to him, Grub was forced to flee into the underhive to avoid being purged as a mutant and heretic. Adds a little fun flavor to the character! 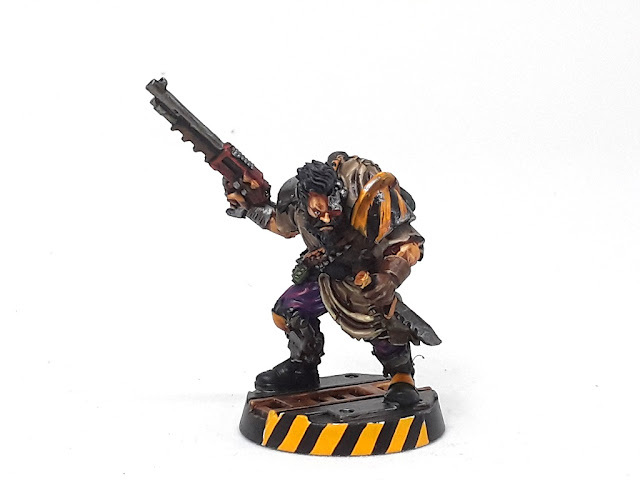 Next up on deck is the new version of one of my perennial necromunda characters, the pompous Guilder Count DeMonay! Anyone willing to wield a shotgun one-handed is definitely not to be trifled with. I didn't recognize him at first, but then when you mentioned the bit about his hump talking to you, I remembered him. He does have a really cool backstory. 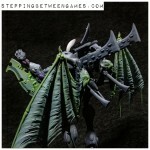 I also like the purple trousers for more contrast with the yellow caution striping. Hah! Indeed, he's a fireplug alongside the other two skinny hired guns in the trio! Cheers! 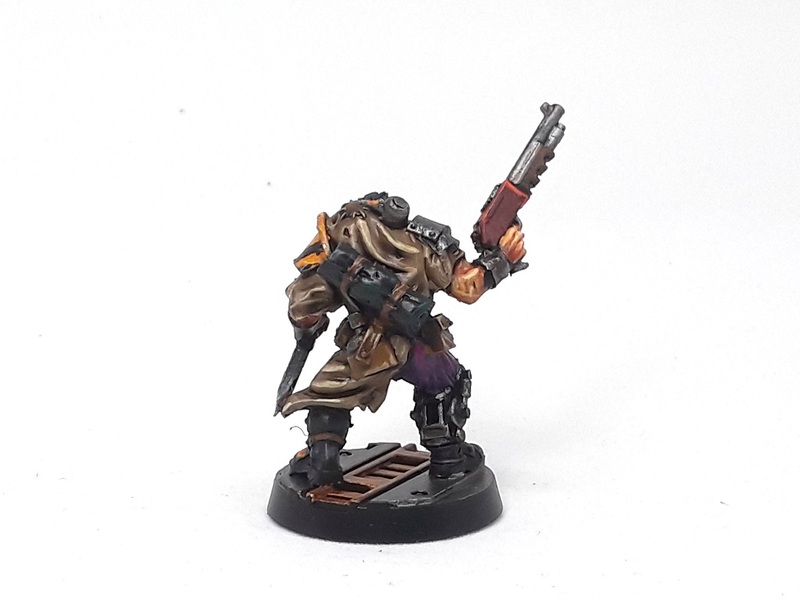 Another great addition to your necromunda warband! Great work! The gang are really coming along nicely now. Hah! Indeed, the models got a great sense of character to him!